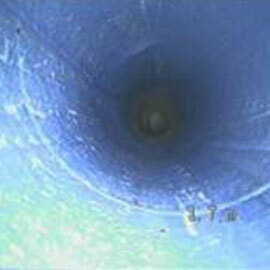 Simple, effective, non-invasive, trenchless pipe repairs. 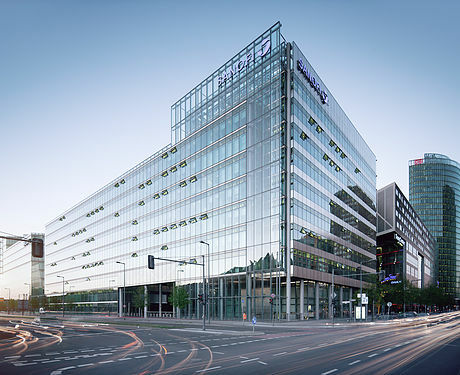 Using innovative trenchless technology and CCTV footage, Clearflo Specialised Services is able to repair and reline broken, damaged or corroded pipes without disturbing the building foundations. Working on small scale to large commercial, industrial and domestic sites, this is a no-mess solution that allows us to solve the issue without requiring excavation and with minimal disruption to your day to day operations. The pipe reline process essentially creates a 'pipe inside of a pipe' using heated resin that moulds to the shape of the existing system. This can be used to treat pipes of all types and sizes - from 40mm to 1500mm, in any material, with the possibility for custom solutions. 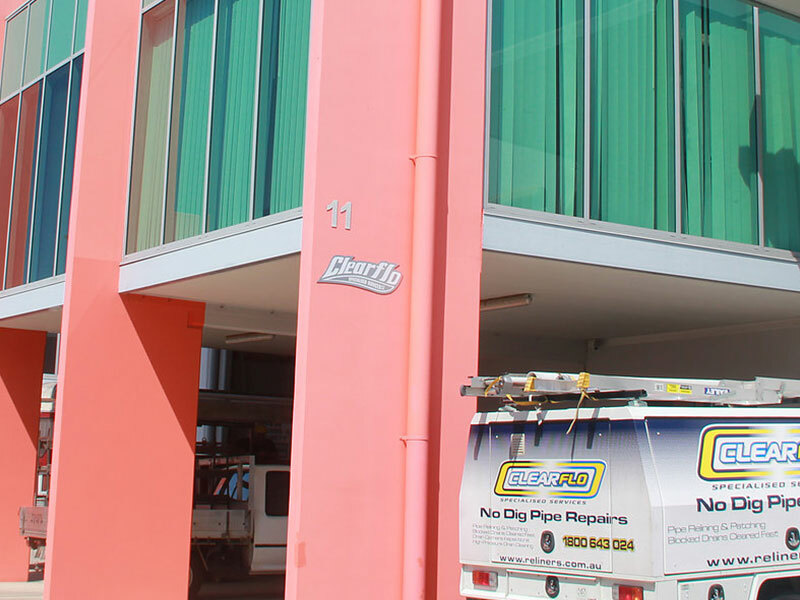 The Clearflo relining team has decades of experience in this field and personalises the process to create the most efficient and effective solution for each client including peace of mind knowing the job is completed in a tradesman like manner. Below are a selection of before and after shots demonstrating the effective results of relining using trenchless repair technology. 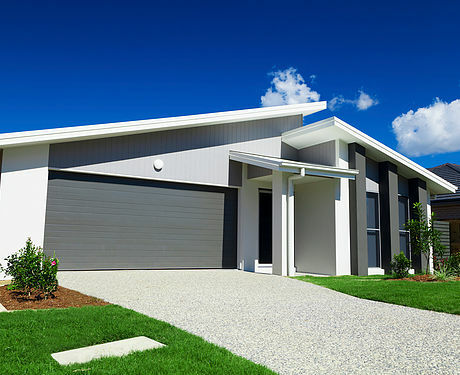 This is an 18 month display home that was sold and new owners had constant blockages. This problem was caused during construction. After another successful liner installed, the damage is now obsolete and the owners of this home have peace of mind that this section of drainage is in good working order. This is a cast iron pipe at a major Brisbane Shopping Centre with a build up of scale and toilet paper was constantly catching on the rough surface. We were called out to this site on several times which was a costly four (4) week period to the Center Management. This job was completed out of hours with no affect to their day to day trading. After reline installed, no more problems. 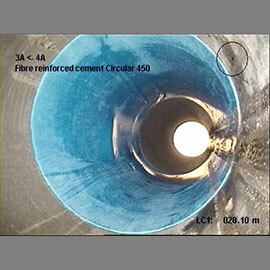 This is a 450 fibre cement pipe that was damaged and also concreted over during the construction stage of a new home. 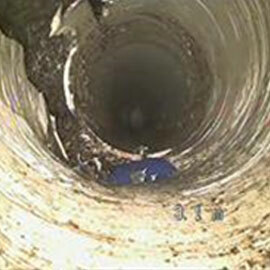 CCTV footage of all drains was undertaken prior to handover and the cracked pipe was found. We were sought after to repair the pipe. Another successful reline, damage is nowhere to be seen and the pipe is in good working order. Choosing our trenchless pipe repair and reline service for your commercial sites allows your plumbing issue to be sorted without impacting your daily business operations. No need to excavate and minimising ongoing costs. Trenchless pipe repairs are a great option for residential issues, as they not only minimise disruption to the landscape and surroundings such as pool, paved areas, slabs, and housing foundations, but they also reduce the ongoing costs associated with excavations in your home and backyard. 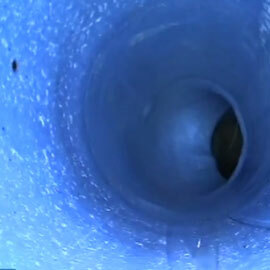 WHAT SORT OF DRAIN PROBLEMS IS RELINING A SUITABLE SOLUTION FOR? Clearflo's pipe relining is suitalbe and adaptable in most situations where the pipe or drainage is in tact and in some cases not in tact. 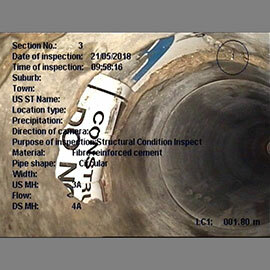 A drain camera inspection is needed to fully understand the situation and to provide an accurate quotation to rectify the problem. HOW LONG DOES RELINING TAKE TO COMPLETE? In most cases only hours but on larger jobs this can run into days and weeks. HOW LONG WILL MY RELINED PIPE LAST? The manufacturer of the product has a 50 year warranty and we provide a 10 year installation warranty.